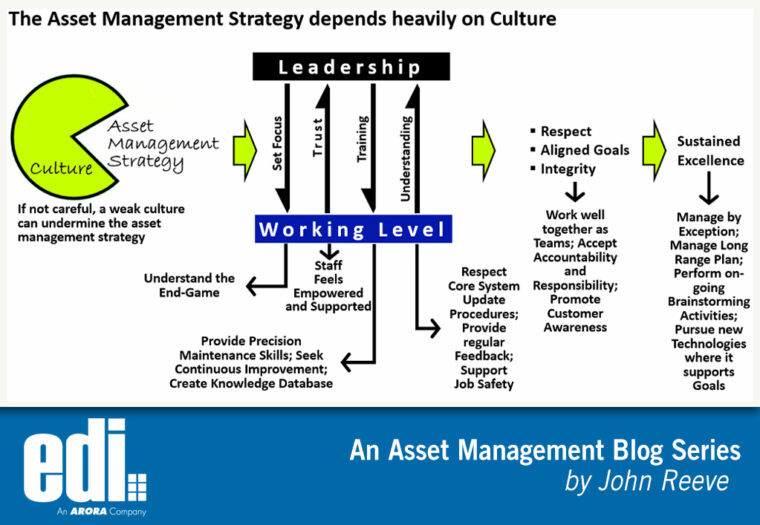 How Culture and Strategy are Related - Arora Engineers, Inc. The executive branch provides the vision, mission, and focus for an organization. They define upper level goals and objectives. But it is up to lower level staff to sub-divide higher level goals into relevant tasks which are aligned with the company mission. And even before that, they must have a clear understanding of objectives which explain what is expected, how this impacts their role, and how this benefits the company. In turn there is a trust in management that the path set forward is the optimum path to ensure profitability and competitiveness. Planned: The organization could be in a “planned state.” This means work orders have been planned, schedules have been created, but unplanned breakdowns are still occurring. In other words, the root cause of failure was never eliminated. Proactive: In a “proactive mode,” goals are aligned, the staff feels empowered, feedback is routine, defects are being removed, and reliability leaders are able to identify bad actors and manage by exception. The “best of the best” organizations are in “proactive mode.” They are able to sustain excellence using a variety of techniques, including autonomous maintenance, Kaizen sessions, work order feedback, chronic failure analysis, root cause analysis, ongoing benchmarking activities, and adherence to a long range plan.